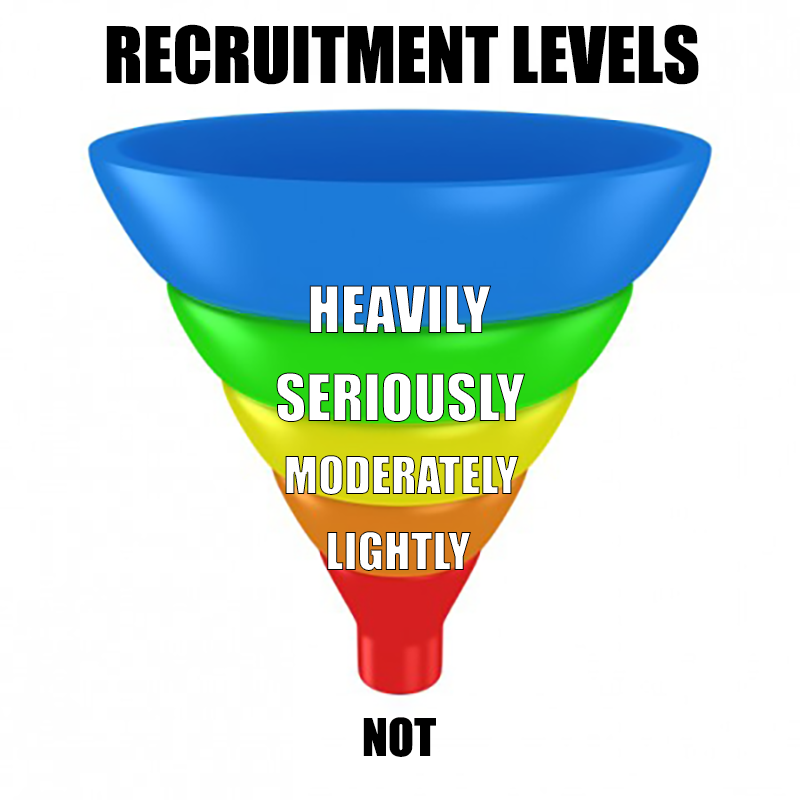 Do You Understand Your Level of Recruitment? During this time of the year, college coaches are hosting high school seniors (and other classes unofficially), taking trips to high school gyms, and homes of high school juniors and seniors. So this is a great time to evaluate your recruitment level. Especially, if you are a junior or senior and have not been involved in any of these activities. NCSA Athletic Recruiting created a good tool to help you assess your level of recruitment. When NCSA released this on their blog, in-home visits to juniors was not active. So, I added in-home visits in red. Remember, this is just a tool to give you an idea of recruitment levels and give you a perspective on where your recruitment is. Athletes are top-tier recruits who will likely go on to compete at the Division I level. The recruiting process for these high-level athletes is outlined below. Freshmen – At least one scholarship offer. Receive an abundance of letters from coaches, questionnaires, camp invites and admissions information, and generous amounts of letters asking you to call or email. Sophomores – Several scholarship offers and unofficial visit invites. Overflow of letters and evaluation at high school games and spring/summer/fall tournaments. Juniors – 10 or more scholarship offers and 10 or more unofficial visits. Pre-evaluation from admissions. Multiple calls from coaches and askings for a verbal commitment. Several In-home visits. Seniors – A lot of In-home visits. National Letter of Intent signing during the early signing period. Athletes are high-level recruits who will certainly play sports at the college level. Freshmen – Receive a fair amount of letters from coaches, questionnaires, camp invites and admissions information, and some letters asking you to call or email. Sophomores – At least one scholarship offer. Abundance of letters, questionnaires and letters inviting you to call or email. Evaluation at high school games and spring/summer/fall tournaments. Juniors – 5 or more scholarship offers and 5 or more unofficial visits. Handwritten letters from coaches. Pre-evaluation from admissions. A few calls. Some In-home visits. Athletes may not end up at the Division I level, but there’s a good chance that they’ll find the right fit at Division II or Division III. Freshmen – Some letters and questionnaires from coaches, a few camp invites and some admissions information. Sophomores – A generous amount of letters, camp invites, admissions information, and questionnaires. Juniors – A few scholarship offers. A few handwritten letters and some calls. Evaluation at spring/summer/fall tournaments. Possible In-home visits. Seniors – Less than 10 scholarship offers and less than 10 official visit invites. Pre-evaluation from admissions. Some In-home visits. Athletes need to draw more attention to themselves, if they want to earn scholarship offers. Freshmen – A few letters from coaches and a few camp brochures. Sophomores – Several letters from coaches. Some camp invites, admissions info and questionnaires. Juniors – A couple of handwritten letters and a few questionnaires. A few evaluations at spring/summer/fall tournaments. Seniors – 3 or more offers and 3 or more official invites. Some unofficial invites and some invitations to walk-on. An In-home visit or 2. Athletes aren’t on the radar either because they haven’t reached out to college coaches, or they don’t realistically have the athletic ability to play at the collegiate level. Freshmen – No recruiting materials. Sophomores – A few camp brochures. Juniors – Some camp invites, admissions information and questionnaires. Seniors – Camp and tryout invite, admissions packets and unofficial visit offers only. If you do not see a form below, click here. 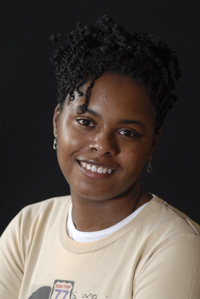 This entry was posted in College Preparation, Events, Recruiting by Patosha Jeffery. Bookmark the permalink.